After a year where headlines have been dominated by economic uncertainty and rising trade tensions, the outlook for the energy market looks set to remain uncertain going into 2019. However, with natural gas set to be the ‘fuel of the future’ one thing we can be sure of is that it will have a significant part to play in the industry. 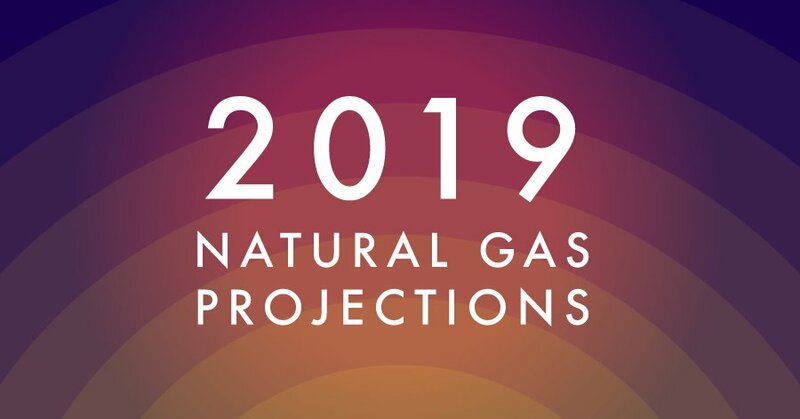 We take a look naural gas projections for 2019. The amount of EU natural gas imports has risen by 80bcm since 2014, with most of this supply coming specifically from Russia. So far, although they are increasing, the level of LNG imports remain below their peak in 2010, and it is likely that European countries will start to look to diversify their gas supplies to avoid a reliance on the Russian market in 2019 and beyond. In the long-term, it is expected that the Russian and US natural gas markets will be forced to compete for the European natural gas market. The production of natural gas in the United States is at an all-time high. The Energy Information Administration (EIA) predicted that in 2018 production would reach 83.2 billion cubic feet of dry natural gas a day, which would break new records (2). Although they have experienced problems with storage and an unusually high demand towards the latter half of the year due to an extended cold spell, the amount of natural gas being produced by the U. S. means that it is still expected to export more gas than ever before in 2019. Opportunities for using new technology in the natural gas industry have the potential to make processes more efficient and effective. Artificial intelligence, blockchain and developments in the technology used to extract natural gas are changing the industry. Some allow for deposits to be produced that were previously considered uneconomic which could help meet any small surges in demand. What do you think lies in store for natural gas in 2019? Let us know on social media: Facebook, Twitter, Google+ and LinkedIn.